This is a super-cute Droolbuster dog bib! 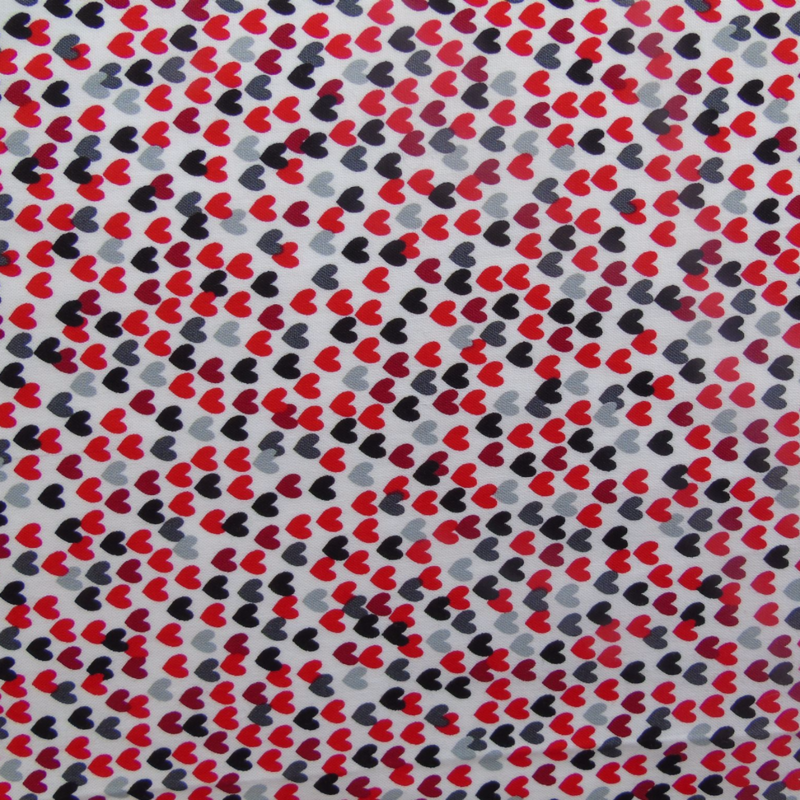 The cotton sides are covered in little hearts in shades of red, grey and black on a crisp white background. This is a lovely design from our premium range of super high quality cottons, and makes a stunning Droolbuster, particularly when combined with the Black or Red Terry Towelling options. Droolbusters are a perfect and practical accessory for any dog that drools. 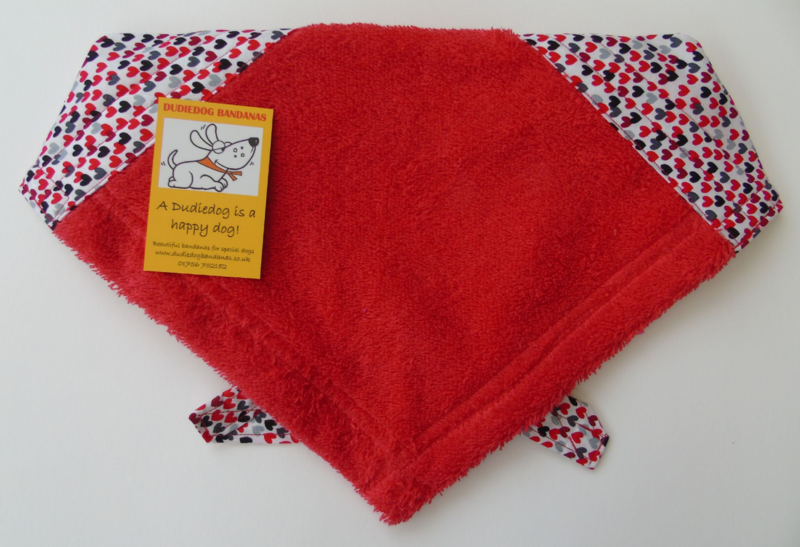 They are available in 6 sizes and are machine washable at 40 degrees C.